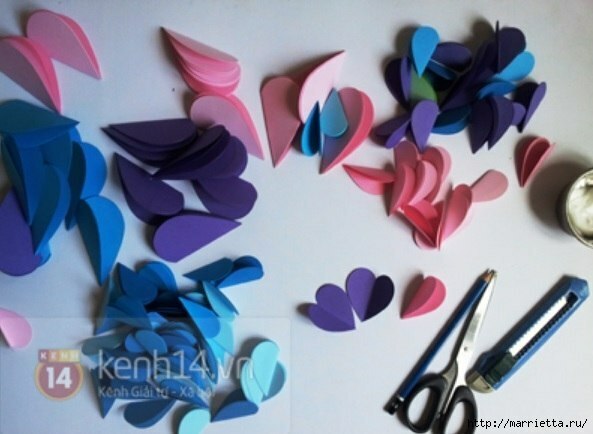 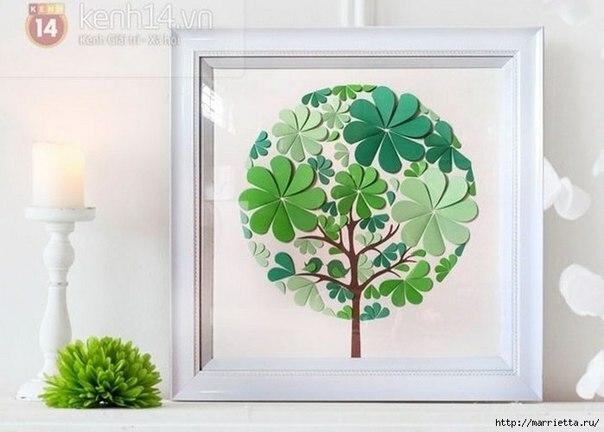 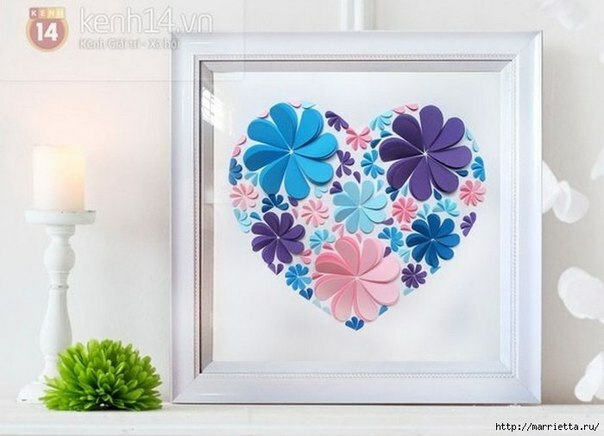 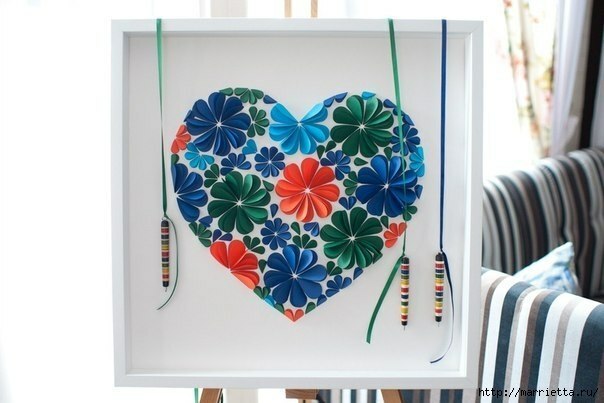 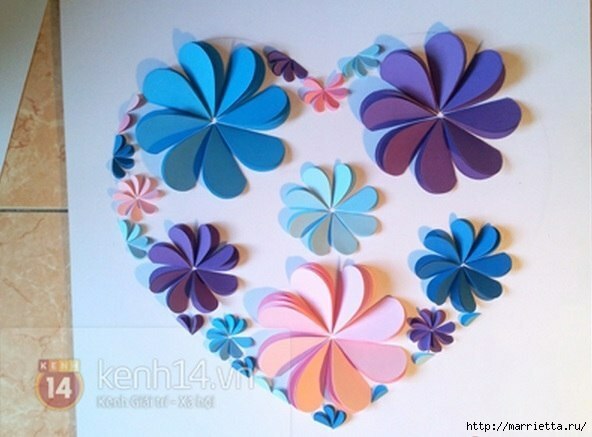 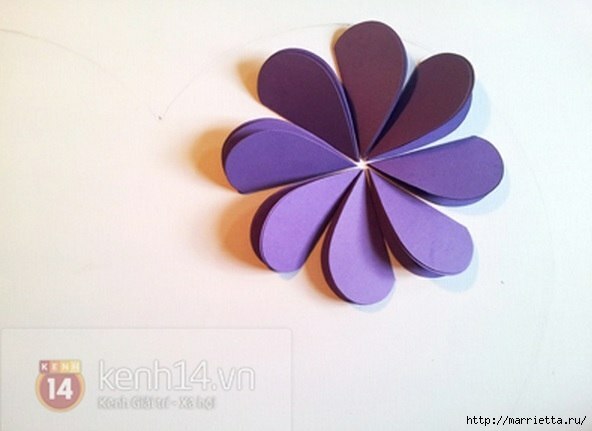 It is really pretty and simple to make flower heart or trees or whatever you can create simply by folding paper hearts in half and glue on paper. 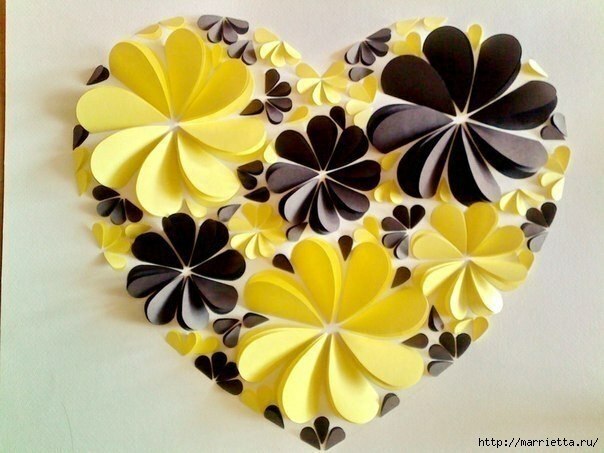 You can make greeting cards or home decorations out of this. 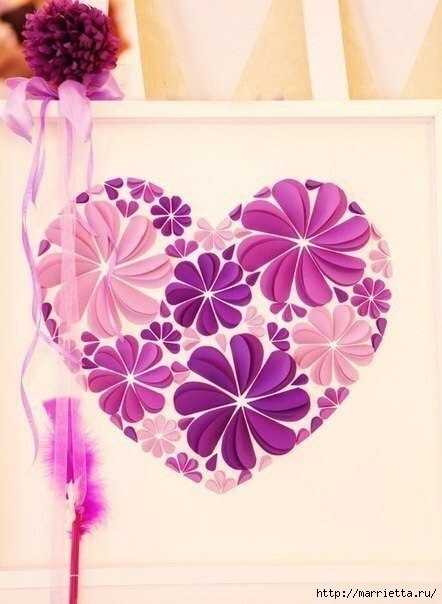 The challenging part is to combine the colors to make your artwork fabulous and impressive for the recipients.